Love rowing or coxing? Want to be a part of next year’s Dark Blue success? 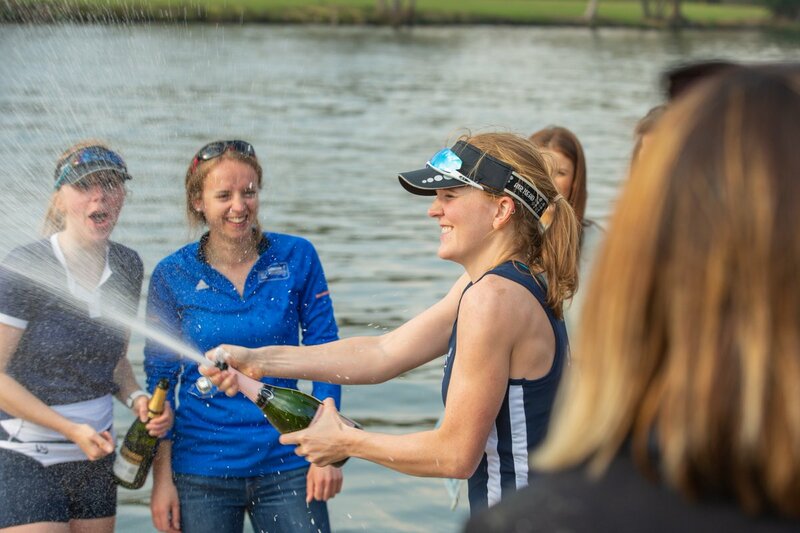 Oxford University Women’s Lightweight Rowing Club is looking for enthusiastic College rowers and coxes who want to improve their skills and sample training and competing in a university crew. Our Development Squad offers you the chance to experience the excellent facilities, equipment and professional coaching available to the OUWLRC squad. There will be the opportunity to row in different boat classes (rowing and sculling) and to race at external regattas. If you have any questions, take a look at the FAQs below or get in touch with our Head Coach Chris at christopher.ohara[at]sport.ox.ac.uk or our President Ellie at president[at]ouwlrc.org.uk. We look forward to you joining us for a great summer of rowing! What is the difference between lightweight and openweight / heavyweight rowing? Lightweight rowing was developed to enable rowers of smaller stature to compete against people of a similar size and power. Otherwise, there is no difference! For now, you don’t need to worry about this – our Development Squad does not usually race in any lightweight categories so you do not need to be below a specified weight. Just let us know before the end of Dev Squad if you are considering joining a University squad in Michaelmas Term, we will advise you whether the Lightweights are right for you. Training will comprise outings from the Oxford University Boat House at Wallingford where there will be a chance to row a variety of different boats (including sculling boats as well as coxed boats), together with some land based gym / exercise sessions at Iffley Road Rowing Centre. Transport to and from Wallingford will be provided where possible (depending on numbers). There will be opportunities to take part in side by side racing at a number of local regattas. I’ve only been rowing a year… I’m not sure if I’m good enough. Let us decide! We are looking for enthusiastic people with ambition to progress. Regardless of which College boat you have rowed in or coxed, whether you’ve played other sports to a high level or you’re relatively new to competitive sport, it is your potential that really matters!